One thing I do suffer from is very dry lips. Carmex is my saviour & perfect for nourishing my parched lips but sometimes I need something a little extra. I tend to get a build up of dry skin on my lips which can look unsightly when applying lipstick or lip-gloss. I did a little research & decided to invest in a Lip scrub from Lush. Yesterday I went into my local Lush in Middlesbrough & picked up this little tub for £5.50. 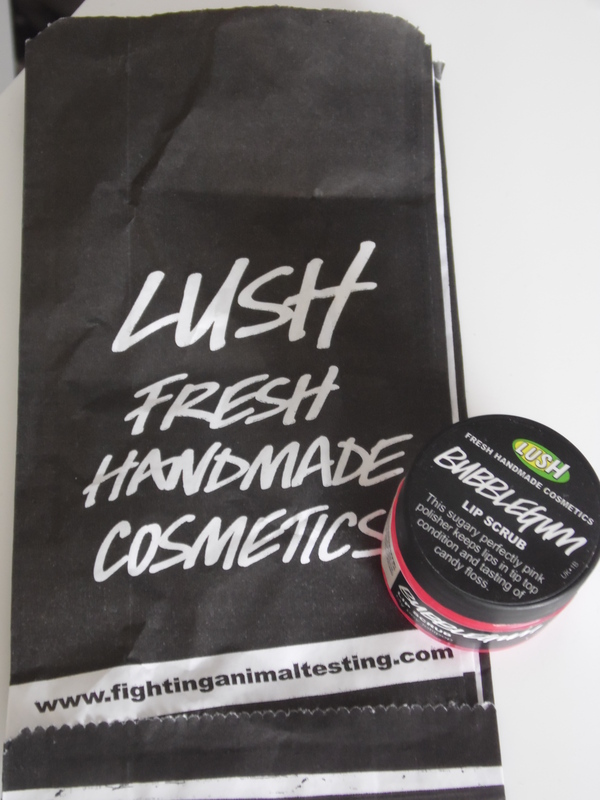 First of all, I love the packaging, simple but chic like all Lush products. I also love the bright pink colour of this scrub. The texture of the scrub feels very sugary but it smells delicious! 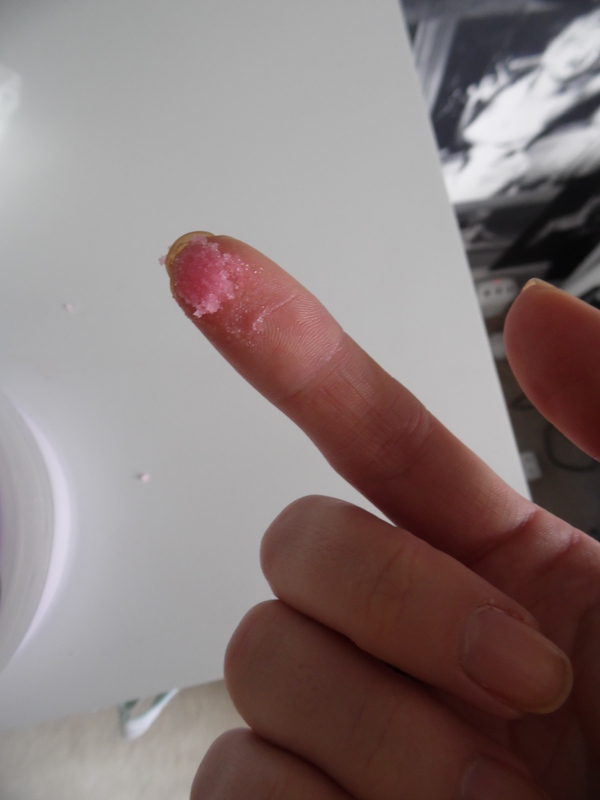 I found it was a little messy to use at first, mostly because I put too much on my finger & it went all over the floor! I soon found out that you only need a little bit & simply rub in your lips. So, after rubbing this into my lips, they felt so soft & nourished. All the dead & dry skin vanished & my lips were so smooth. My lipsticks & lip-glosses now glide smoothly over my lips. I am no longer embarrassed by caking lipstick caused by dry skin. The taste is delicious & is a pleasure to use. 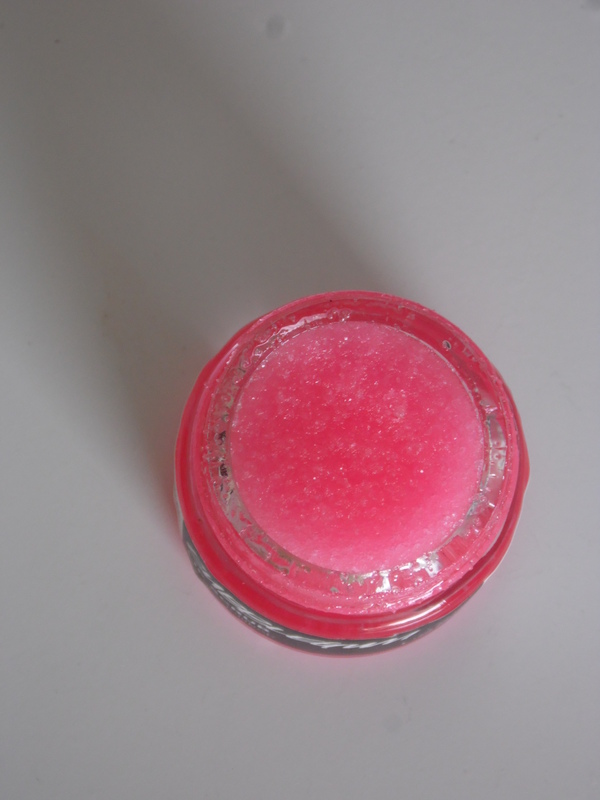 The scrub contains Jojoba Oil which instantly nourishes your lips & makes them feel super soft. I have also noticed my lipstick/gloss stays on much longer than usual after using this. I was a little hesitant at paying £5.50 for a tiny pot but I am so glad I did. I really think it is worth the money & a little goes a long way. 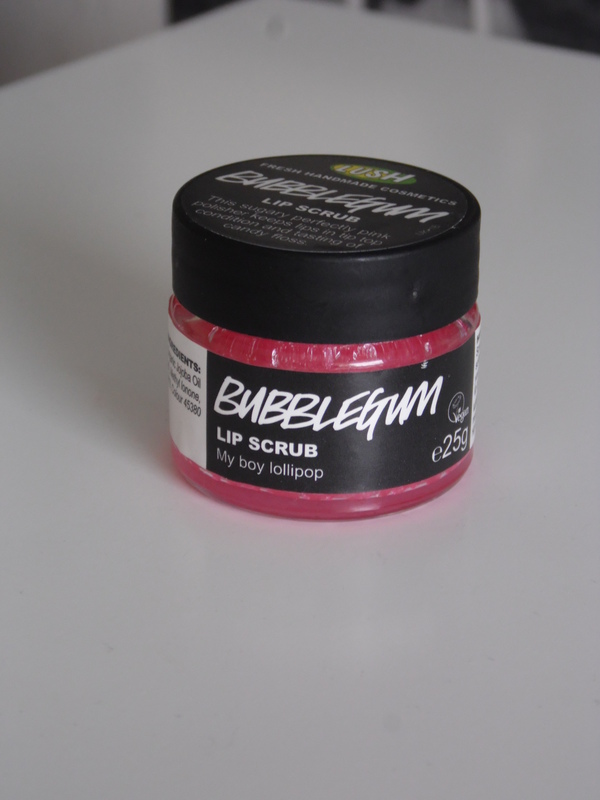 The scrub is also available in Popcorn or Mint flavour if you are not so keen on Bubblegum! If you would like to give it a try then you can find it here. 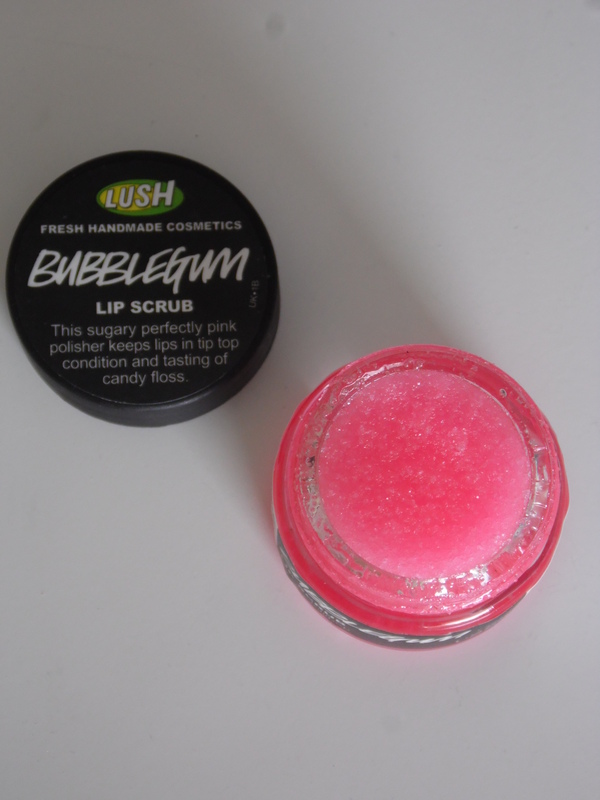 Have you tried a Lush Lip Scrub or would you try one now?